Contrary to reports, the UFC will not be packing the United Center with rabid MMA fans on November 20th. Company VP of regulatory affairs Marc Ratner confirmed the Windy City was a possible landing spot to host UFC 123, but prior engagements with some clowns are going to keep the Octagon out of the arena that Michael Jordan built. 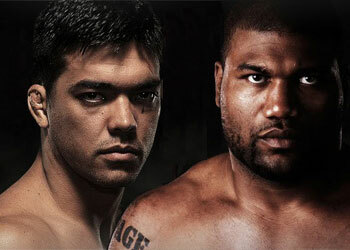 UFC 123 is expected to featured a double-dose of light heavyweight action. Jon Jones is rumored to be taking on Forrest Griffin in the card’s co-main event, while former champions Quinton “Rampage” Jackson and Lyoto Machida will headline the show. As we reported yesterday, “The Dragon” confirmed that he will be facing Jackson in November. Ratner said the world’s biggest mixed martial arts promotion is planning to return to Chicago at some point in 2011, but would prefer to have their event hosted at the United Center as opposed to the Allstate Arena where UFC 90 was held. The UFC made an appearance in Philadelphia for UFC 101 in August 2009. Middleweight champ Anderson Silva ran Forrest Griffin out of the Octagon with a stunning display of jabs.